I love Pugs draft excluder or cushion. 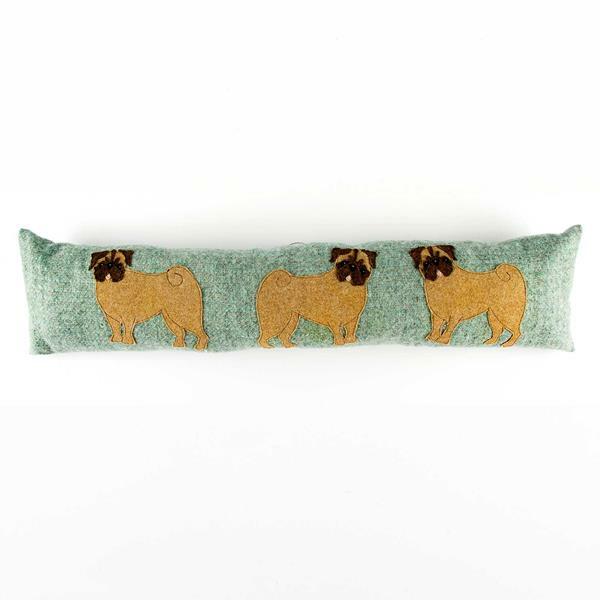 With a face only a mother could love being part of their charm, three Pugs stand guard on this beautiful wool tweed draft excluder. If you do not want a draft excluder, the piece of tweed would make a stunning 16" cushion instead.